Tim qualified as a Solicitor in March 2017 and is an Assistant Solicitor in Brecher’s Litigation team specialising in property litigation. He has a wide range of experience advising both landlords and tenants of commercial property on issues including contested lease renewals, rent arrears, breach of lease and forfeiture. In residential property he advises on possession claims, statutory lease extension disputes and enfranchisement claims. He has advised on a number of successful adverse possession claims and on disputes relating to the Party Wall Act. Having trained in both contentious and non-contentious property he has a good understanding of property transactions and the disputes that can sometimes arise from them. 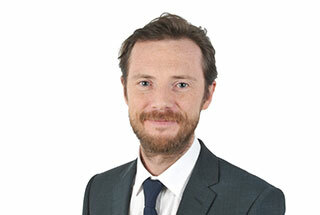 Tim is also part of the banking litigation team advising on matters relating to possession and enforcement.